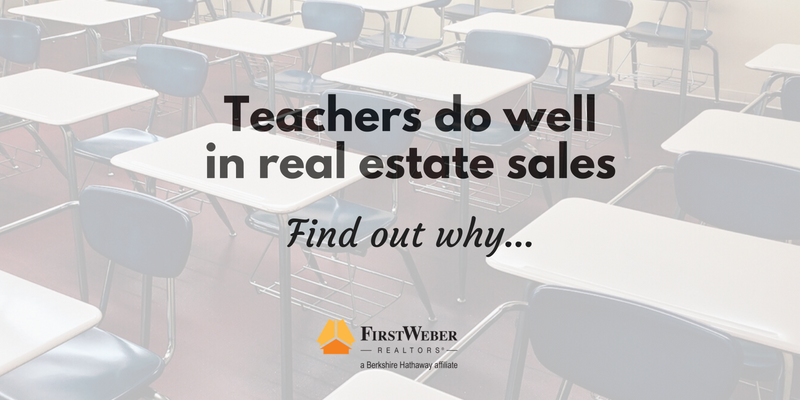 If you are a teacher looking at a new career, you might be surprised to hear that teachers have a proven track record in real estate sales. How could that be? Sales and Teaching are so different. Well, not really, at least in real estate sales. Selling & buying real estate is a complex and emotional process for both the buyer and seller. The real estate agent’s job is to guide them through the home buying or selling process, essentially teaching or educating them about each step. They need help navigating through the process – similar to how students need help navigating a new subject. Home buyers and sellers have questions – the real estate agent provides the answers in a way that is understood by a layperson. The real estate agent needs to show patience and understanding in trying to help the home seller or buyer achieve their goal. Just like a teacher needs to show patience and find a way to help each student achieve their learning goal. The similarities are many. You understand the value of education so studying to get your real estate license should be old hat to you. First Weber can help you get your real estate license with internet and self study options allowing you the freedom to complete the required courses when it is most convenient for you. First Weber also provides excellent post-license training in an on-demand video format allowing you to watch at your own speed, as often as you like, with a track provided for guidance. For those of you who prefer to learn in a classroom setting, we offer that, too! A good sales person doesn’t hard-sell people. They have the heart of a teacher, gaining trust and results through listening and helping others understand so they can make their own informed decision. To view our website which brings in thousands of visitors each month (leads for you), please see firstweber.com and thank you for reading the First Weber Wisconsin real estate & Wisconsin living blog about how teachers do well in real estate. If you are a teacher in Wisconsin, we’d love to talk with you about getting your Wisconsin real estate license and starting a career in real estate.